Proposed bill in House of Representatives calls for ethanol gas pumps to be labeled more clearly. 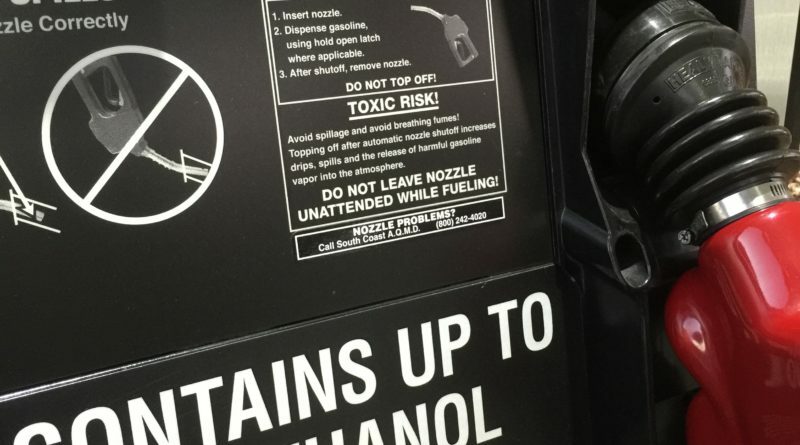 WASHINGTON, D.C. — Two representatives from the Southeastern U.S. introduced a consumer protection bill on Capitol Hill as part of an effort to prevent boaters from misfueling at the pump. Reps. Austin Scott (R-Georgia) and Lois Frankel (D-Florida) introduced House Resolution 5855 (H.R. 5855) on May 16 and proposed to require gas pumps with 15 percent ethanol fuel, or E15, blends to feature new labeling. The labels would clearly inform boaters and consumers they are filling up with E15, which has regularly been identified by boating advocates as corrosive and harmful to recreational vessels. Scott and Frankel, by requiring gas station owners to provide clearly written notifications about E15, hope boaters would be on notice of a gas pump containing potential corrosive or harmful fuel. H.R. 5855 – also known as the Consumer Protection and Fuel Transparency Act of 2018 – specifically calls for gas pumps dispensing E15 fuels to be equipped with more detailed labeling, informing boaters and others of the pump’s gasoline content. “As we are presented with more choices at the gas pump, it is imperative that American consumers know exactly what kind of fuel they are putting into their engines,” Scott said in a released statement. “Gas pumps today are riddled with confusing labels that fail to adequately warn consumers of the dangers of fueling small engine equipment with E15. “By making fuel pump labels easier to decipher and coordinating public education programs, this legislation can save consumers time and energy at the pumps and avoid headaches and costs down the road,” Scott continued. Gasoline blends with 15 percent ethanol are prohibited from being used in boats, chainsaws, lawnmowers, motorcycles and snowmobiles. However E15 fuels still manage to get into those engines due to misfueling, according to various advocacy groups and media stories. Misfueling occurs whenever a gas pump does not properly inform users (through labeling) it contains E15 fuel. Scott and Frankel are both members of the Congressional Boating Caucus. The representatives discussed the bill at a press briefing hosted by National Marine Manufactures Association (NMMA), the boating organization that has regularly opposed E15 fuel uses in marine engines.